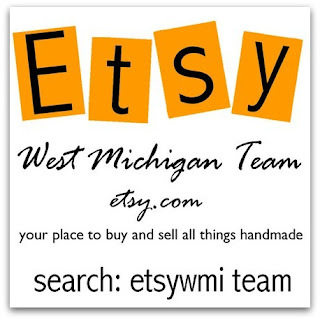 I belong to the greatest team, team mates with some of the sweetest people and they've formed themselves into a team and called themselves Etsy West Michigan Team. They have given me so much support since I started in July of 2008 and they just all seem like family. Michele-Sketching "The Art of Worship"
If anyone else on our team or from other teams would like to participate in this day of giving your time by volunteering to teach young girls a new skill please let me know. Thank You!